With so many home security systems in the market, finding an alarm should be an effortless process. Unfortunately, not all alarm systems you encounter will meet your needs. It still requires careful evaluation and reviews to land the best options. 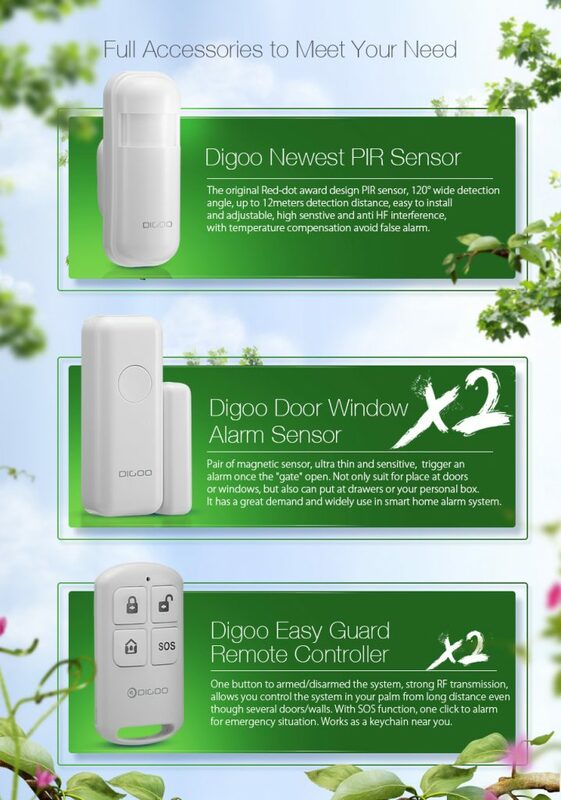 Digoo alarm is one of the popular choices currently inspiring a lot of interest from users. 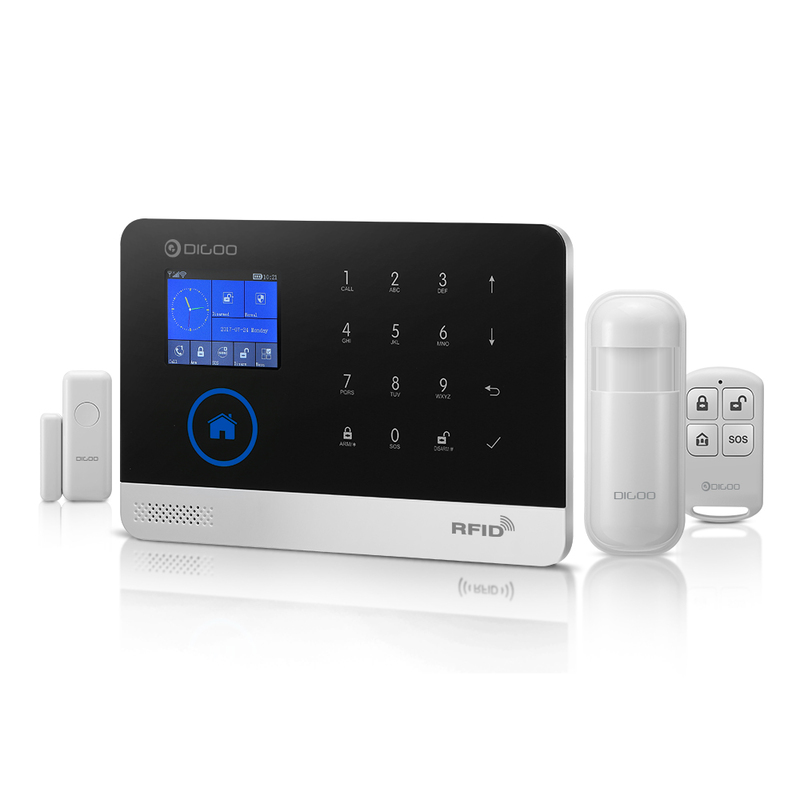 Here is a review of the home security alarm system including its features, pros, and cons. a)GSM connectivity – with a Digoo sim card, you will enjoy the many benefits of a traditional GSM system including sending messages or calling pre-entered numbers when the alarm is triggered. It supports two-way calls and you can also set the monitoring time. b) Wireless connectivity – you can receive phone notification without a sim card or remotely disarm the alarm if you have friends visiting. The system also supports SOS messages and smartphone app that can be used to view status. The app can also be used with the DigooEye camera for remote surveillance. c) Ergonomic display and touchpad – the system feature a colorful screen with a higher contrast than most designs. It uses a touchpad, rather than buttons and you can easily access it even in bright weather without straining your eyes. 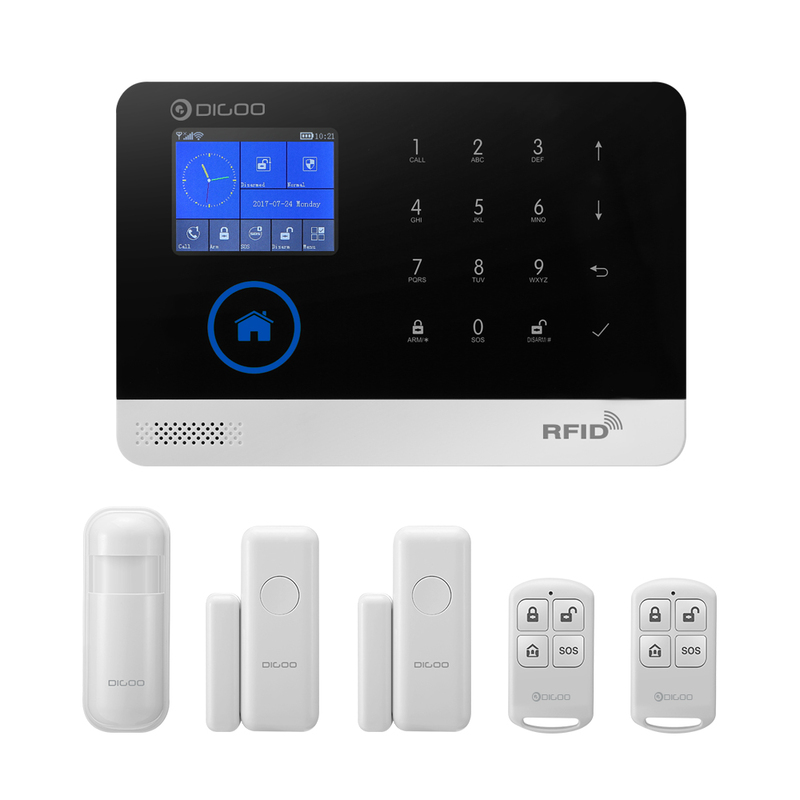 The Digoo alarm system package contains a wireless GSM /GPRS/ WIFI alarm host, PIR detector, wireless remote controllers, window sensors, installation screws, USB power cable and a wall-in rubber block. It also has an English user manual although the system supports three languages (English, Chinese, and German). 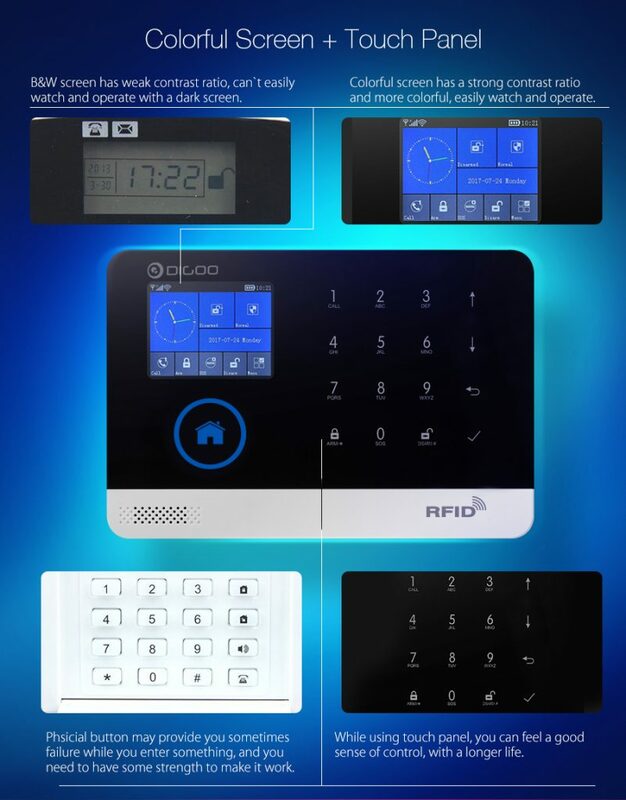 If you are looking for a solid efficient standalone alarm system, then Digoo home security is definitely one of the options to consider. 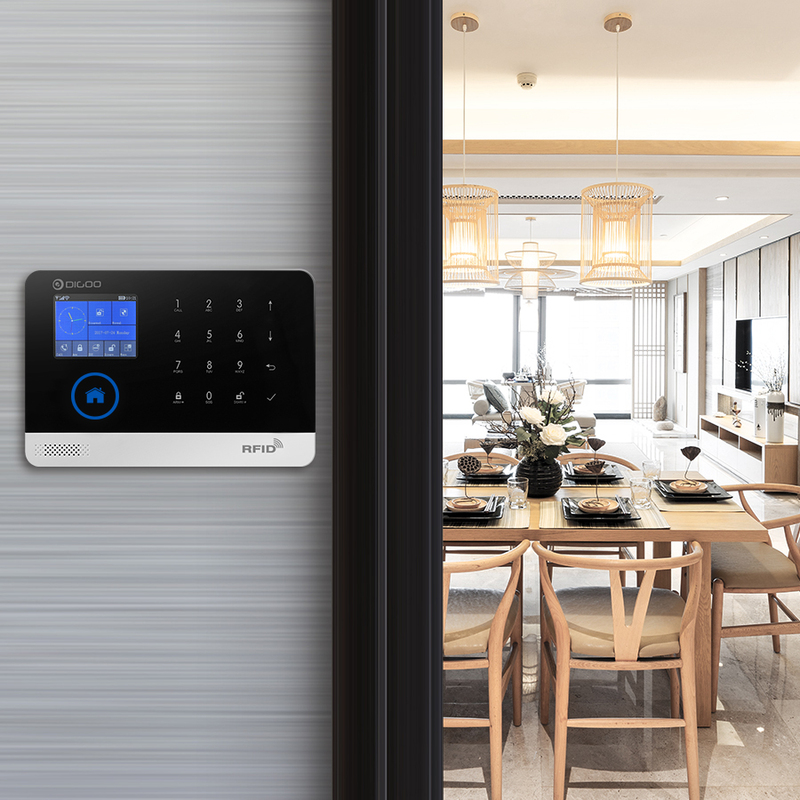 It is simple and offers sufficient features to keep your home secure from burglars and any unauthorized entry. To enjoy these benefits, it is recommendable to purchase from credible retailers that provide genuine quality products. Why You Need the Sous Vide Precision Cooker?